David and Jill send a Thank you card! We love getting positive feedback from our couples about how amazing our team members are! 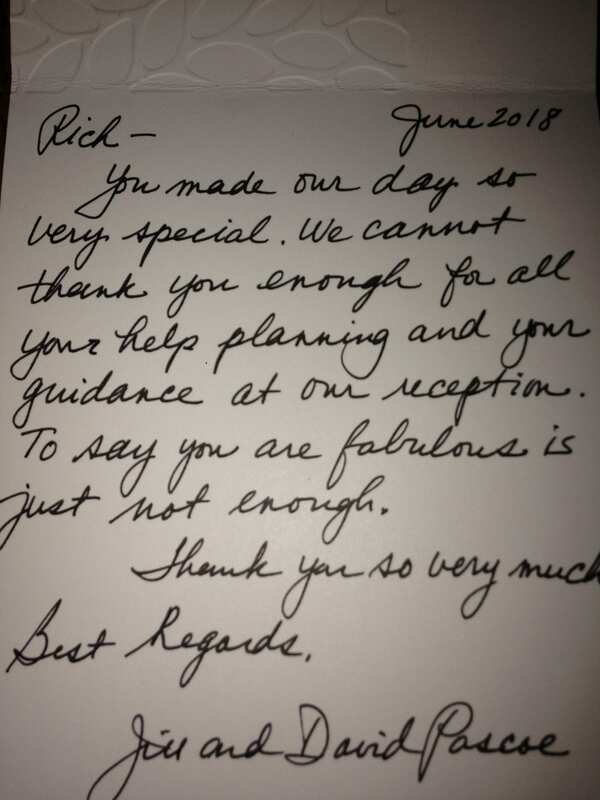 Rich received a personal thank you card from Jill and David from their wedding on June 16th 2018! You made our day so very special. We cannot thank you enough for all your help planning and your guidance at our reception. To say you are fabulous is just not enough.